"Rocker/Sucker: Nissan GT-R and, um, Nissan GT-R. A masterful press campaign, relying heavily on the somewhat impressionable folks at Edmunds, has firmly planted the Nissan GT-R in the public consciousness as the car which runs around the Nurburgring in 7:38. Never mind that production cars in independent hands are about fourteen seconds slower around said ‘Ring. Never mind that representing lap times set by prototypes as production realities amounts to sloppy journalism at best and manufacturer shilling at worst. Never mind that the Corvette Z06 has more power, significantly less weight, and larger tires to boot, while costing less and looking better. 2008 will be The Year Of The GT-R for quite a few people out there in Enthusiastland. And yet we have to wonder at the relevance of a limited-production seventy-thousand-plus-dollar two-door sedan that weighs nearly as much as a CTS-V while knocking out about seventy fewer of those already famously puny Nissan V6 ponies. Sure, the British press loves the GT-R and hails it as the best performance car of the year; they said the same thing about the TVR Griffith. Are there really enough “Gold Collar” Playstation freaks out there to make the GT-R a sales success? Only time will tell." 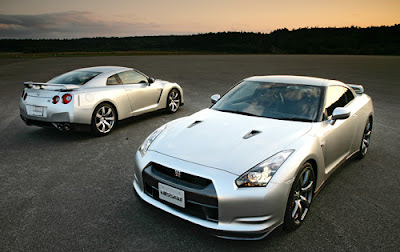 I feel a little bit of contempt towards the Nissan GT-R. I would guess they are based in Detroit ? The Z06 is a great car . The ZR1 will be even more car. There are more than one way to skin a cat, or in this case , get around a track. I still haven't seen any real numbers on the ZR1 at Nurburgring , although I have heard they blew a few up trying.